Features: Outstanding! 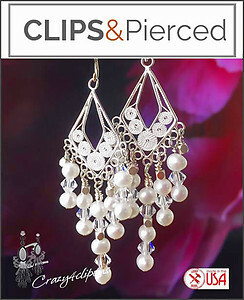 These crystal & pearl clip earrings are divine, sparkling and so sophisticated. 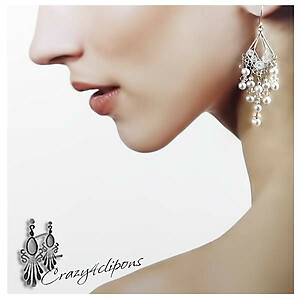 Columns of fresh water pearls and Swarovski crystals dangle from gorgeous Sterling Silver filigree. 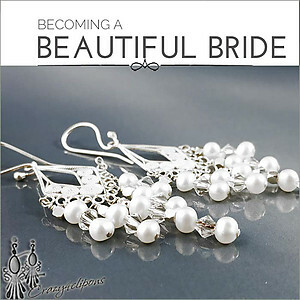 They look lovely for brides, bridesmaids or for special occasions.